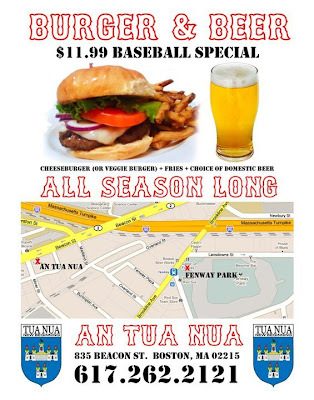 "Win and You're In" Tonight at An Tua Nua! Tonight's tournament at An Tua Nua will be a "Win and You're In" event. That is, win the tournament and you receive a complementary entry in to our upcoming league beginning July 12th! Winners also receive a restaurant gift certificate. Play begins at 8 PM; tournament to start at 8:30 PM. No entry fee. Sox and Padres on the big screen tonight!